Movies I've watched more than twice. Some Play The Game, He Changed It! Cordé Christopher: Pimpin' and ho'in is the best thing going. This movie had me gripped straight from the beginning, now, this may just be that I love Snoop Dogg, well yeah, it is. Hawthorne James though, he was the acting stud of the movie, delivering the great pimp goods, as only a real pimp could deliver, or an actor. Now there is a song in this movie that will through you for a loop. 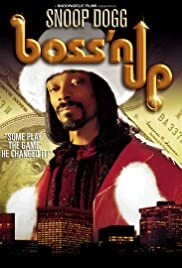 Now as this is not your everyday movie, yes, it is a pimp musical, it may not appeal to all audiences, who it will appeal to, are, hip hop fans, Snoop fans, and pimp dramatics...fans. Big Pook, I commend you on making a very good movie, the camera work, the plot, the dialogue, all on the mark. This movie is, what it is.